Farming has come into the 21st century, and FarmBot is perhaps farming’s most advanced new frontier. How advanced? Well, get ready for a mouthful of a definition. 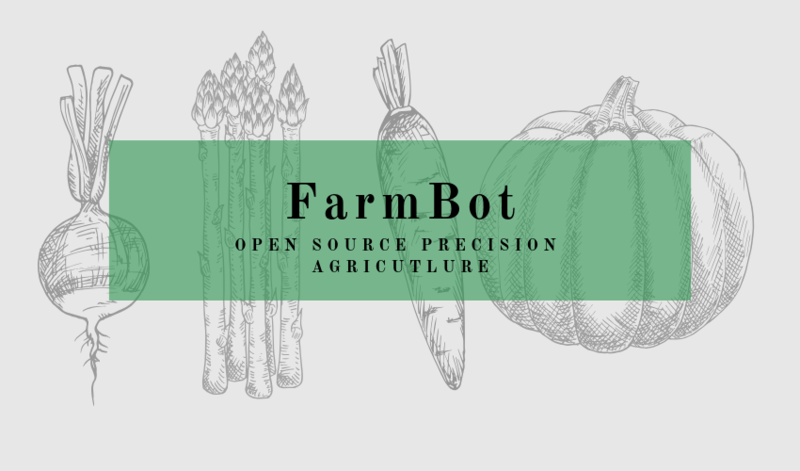 FarmBot is an open source precision agriculture Computer Numerical Control (CNC) farming project consisting of a cartesian coordinate robot farming machine. Okay, do you have that down? No worries, we are going to do our best now to simplify. The Farmbot project aims to create an open and accessible technology helping allow everyone to grow food and to grow food for everyone. At HCC, students were given the opportunity to partake in their own FarmBot project. There were two faculty members supervising and ten students directly involved with the FarmBot project. The supervisors were Mr. Alexander Asmah and Mr. Lojo Lartey, and the students included Zion Awuku, Byron-Lee Asare, Michael Ampofo, Ruth Harris, Diana Asare, Deji Adogoroye, Comfort Awuah, and Foster Abavon, David Nseboaye, and Rene-Ggyei. The students were interested in participating in the project for many different reasons. To take one of them for an example, there is David Nseboaye, who is a level 300 student, is studying information technology management. David aspires to be a big time farmer who uses technology in every aspect of the farming process. This project was an opportunity for him to see and experience first hand how FarmBot operates, and how he can harness this to his future aspirations of becoming a farmer. Rene-Ggyei, who is a level 200 student, is studying accounting in business administration. She was curious to know and be part of the team that assembled and operated FarmBot. She had heard a lot about the FarmBot and what it does, so she wanted to experience it first-hand. Not only is it vital to have knowledge in programming technology, but the knowledge of farming itself is also necessary for someone who wishes to use a FarmBot. With a team, though, there can be some sharing of responsibilities and knowhow, and so HCC’s team members each specialized in a specific aspect of the whole process. The team members were able to gain their knowledge in part from a website provided by the farm team, and other sources of information came from the official youtube page of FarmBot. With the help of Michael Ampofo, students Zion Awuku and Byron-Lee Asare were tasked with the responsibility of programming FarmBot. Comfort Awuah and Ruth Harris were tasked with the responsibility of researching which crops to grow, as well as other, related challenges, such as how much water the crops needed, the depth in which the seed needed to be planted in the soil, and how far apart each seed should be planted. Although the team acquired the information and knowledge necessary to capitalize on FarmBot’s capabilities, the team at HCC has not yet started practicing on FarmBot because they are waiting to harvest the garden of crops currently being grown. After the harvest, the team will have access to and will be able to practice on FarmBot. As of now FarmBot is effective on small pieces of land, specifically gardens and small crops. Research is currently being conducted from different parts of the world on how FarmBot can be scaled up to work on a bigger plot. The length of the garden bed can be extended to about 9m while maintaining the 3m width of the bed. The team decided, per its research, t that the best crops for farming with FarmBot in Africa are vegetables such as carrots, cabbages, onions, and shallots. 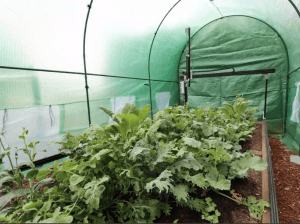 The team ultimately decided to plant cabbages and carrots because they can be harvested by the close of the year or early next year, and most of the team members wanted to see the life cycle of these two crops since they rarely see them grow in the urban areas. The current processes FarmBot is able to perform are planting of seeds, weeding, watering, and measuring soil moisture. However, it is necessary for a human to intervene at a couple different points in the process. The first of these intervals comes when the FarmBot seeder (the pin that picks the seed) must pick a seed from the seed bay to plant. A team member must ensure that the seeder is able to successfully pick a seed and send it to the designated location. Thus, human interaction is required because the seeder may or may not pick a seed at all, or may sometimes pick multiple seeds at once. Interaction is also required in the weeding, due to the FarmBot weeder being unable to kill some of the unwanted weeds. Therefore, someone must remove the remaining weeds at the completion of the process. Another factor emerges when there is a long power outage. Also, even though there is an Uninterruptible Power Supply (UPS) for FarmBot, one has to manually shut the power off after a certain period of time. Forming a FarmBot-based business can be a difficult undertaking if only because Farmbot requires relatively high start-up capital. In its current state, FarmBot is not cost effective, because its economics do not compare favorably with current agriculture as practiced in the current cheap-labor environment. Farmbot’s economics will improve as the availability of cheap labor decreases. Some experts predict that that situation will arrive, and perhaps even in the fairly near future. They believe that eventually most of the farming in West Africa will be automated. In such an environment, FarmBot will make its own operation very productive and cost effective. Today, a family in West Africa would not be able to afford a FarmBot unless they happen to be well-established enough and savvy enough to exploit all the advantages that come with operating these units. For now, even if a family in West Africa could afford a FarmBot, they might be well advised to invest their money elsewhere. Despite these drawbacks, FarmBot will become cost effective when other features and developments are made to it. 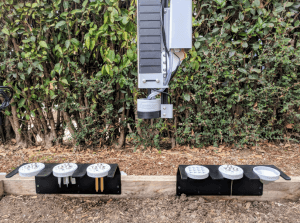 The best way for a person to make a living out of FarmBot is ensure maintenance and repair services for families or farmers who have taken the plunge of purchasing machines. Doing so will provide a graduate with great hands-on opportunities and position him or her well for perceived expansion of the technology as more technological advances are made and as more favorable economic conditions arise.